What is Confession? Confession is the oral avowal of one’s sins that lie heavy upon the conscience. Repentance cleanses the soul and makes it ready to receive the Holy Spirit, but confession, so to speak, only empties the soul of sins. Let us present a simple analogy and comparison to confession. For example, suppose you had only one vessel of some kind, which you through negligence or laziness let reach a stage where little by little it accumulated all sorts of dirt so that your vessel became not only unusable but even unbearable to look at without repugnance. But what if a king wanted to give you as a gift some sort of fragrant and precious balm, one drop of which could heal all infirmities and protect - what then? Would you refuse such a valuable gift only because you had no other clean vessel in which to put it? No! It would be very natural for you to accept such a gift and you would try to clean your vessel. How would you begin to clean your vessel? No doubt, before anything else, you would rid it of all uncleanness; you would begin by washing it with water and, perhaps would even burn it out so that it no longer retained any of its former odors. Isn’t that so? Now let the vessel represent the soul given to you by God, which you have brought to such a state that it has been filled with all kinds of transgression and iniquities; let the sweet-smelling balm, given by the king, signify the Holy Spirit, Who heals all infirmities and afflictions, Whom the King of heaven and earth, Jesus Christ, freely bestows upon us. To examine your vessel signifies feeling your guilt before God and recalling all sins, which have stolen into your heart. To clean out the vessel typifies the confession of your sins before your spiritual father, and washing with water and burning with fire signifies a sincere and even tearful repentance and a voluntary resolve to endure all unpleasantness, needs, afflictions, misfortunes, and even calamities that befall us. Now tell me: Is Confession profitable or needful? Certainly it is profitable and even essential; because, just as it is impossible to cleanse a vessel without ridding it of all uncleanness, so it is impossible to purge your soul of sins without confession. But tell me, is confession alone enough for the reception of the Holy Spirit? Certainly not, because in order to receive the sweet-smelling and precious balm into a defiled vessel it is not enough to just empty it, but it is necessary to wash it with water and refine it with fire. 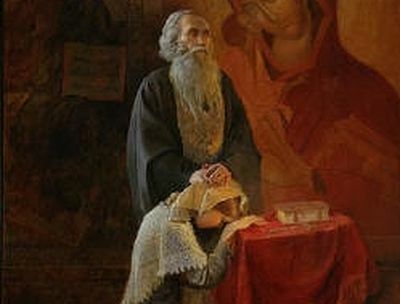 Just so, in order to receive the Holy Spirit, it is not enough just to confess or recite your sins before a spiritual father, but it is necessary together with this to purge your soul with repentance or contrition and grief of soul, and burn it out with voluntary endurance of afflictions. So then, this is what confession and repentance mean! What does a true and correct confession consist of? When we wish to cleanse our conscience of sins in the Mystery of Repentance: Before everything else it is necessary to believe in the Lord Jesus Christ and firmly hope that He is ready to forgive all sins, no matter of what magnitude, if only the sinner repents open-heartedly; it is necessary to believe and hope that the God of all wants and seeks our return. It is necessary to have a broken heart. Who is God? And who are we? God is the Almighty Creator of heaven and earth; He is the awful and righteous Judge. And we? We are weak and insignificant mortals. All people, even the greatest people, are less than dust before God, and we can never imagine how disgusting to God is any sin and how any transgression offends Him. And we, insignificant and weak, we mortals endlessly benefited by our God, dare to offend Him, the All-Good One? Oh! This is so horrible! We are such debtors before God, such transgressors, that not only should we not dare to call ourselves His children, but are not even worthy of being His lowliest servants. Therefore, picturing all this, you see what contriteness, what lamentation it is necessary to have then, when we want to purge ourselves of sins. And such a feeling must be had not only before confession and during confession, but also after confession. And even more important, do you want to offer a sacrifice to God such as will be acceptable to Him? Naturally we all gladly want this and as far as possible we offer it. But what can we offer Him really acceptable? A broken heart. A sacrifice unto God is a broken spirit; a heart that is broken and humbled, here is an offering to God more priceless than all offerings and oblations! It is necessary to forgive all our enemies and offenders all the harmful and offensive things they have done to us. Forgiveness—what does it mean to forgive? To forgive means never to avenge, neither secretly nor openly; never to recall wrongs but rather to forget them and, above all, to love your enemy as a friend, a brother, as a comrade; to protect his honor and to treat him right-mindedly in all things. This is what it means to forgive. God Himself will not forgive. Jesus Christ said: If ye forgive men their trespasses, your heavenly Father will forgive you also your trespasses. But if ye forgive not men their trespasses, neither will your heavenly Father forgive you yours. On the contrary to this, though you pray to God every hour, though you have such faith that you can move mountains, even though you give away all of your belongings to the needy, and give your body to be burned, if you do not practice forgiveness and do not wish to forgive your enemy, then all is in vain, for in such circumstances neither prayer, nor faith, nor charity, will save you, in short, nothing will save you. But if it is needful to forgive our enemies, so likewise it is indispensable to ask also forgiveness of those people whom we have offended. Thus, if you have offended anyone by word, ask forgiveness of him, come and bow down at his feet and say, “Forgive me.” Have you offended by deed? Endeavor to expiate your guilt and offenses and recompense his damage, then be certain that all of your sins, no matter how heavy they be, will be forgiven you. It is necessary to reveal your sins properly and without any concealment. Some say, “For what reason should I reveal my sins to Him Who knows all of our secrets?” Certainly God knows all of our sins, but the Church, which has the power from God to forgive and absolve sins, cannot know them, and for this reason She cannot, without confession, pronounce Her absolution. Finally, it is necessary to set forth a firm intention to live prudently in the future. If you want to be in the kingdom of heaven, if you want God to forgive your sins - then stop sinning! Only on this condition does the Church absolve the penitent of his sins. And he who does not think at all about correcting himself confesses in vain, labors in vain, for even if the priest says, “I forgive and absolve,” the Holy Spirit does not forgive and absolve him! From Orthodox Life, vol. 38, no. 4 (July-August, 1988), pp. 20-22. I, a sinful soul, confess to our Lord God and Savior Jesus Christ, all of my evil acts which I have done, said or thought from baptism even unto this present day. I have not kept the vows of my baptism, but have made myself unwanted before the face of God. I have sinned before the Lord by lack of faith and by doubts concerning the Orthodox Faith and the Holy Church; by ungratefulness for all of God’s great and unceasing gifts; His long-suffering and His providence for me, a sinner; by lack of love for the Lord, as well as fear, through not fulfilling the Holy Commandments of God and the canons and rules of the Church. 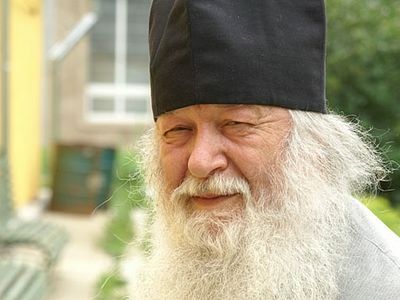 I have not preserved a love for God and for my neighbor nor have I made enough efforts, because of laziness and lack of care, to learn the Commandments of God and the precepts of the Holy Fathers. I have sinned: by not praying in the morning and in the evening and in the course of the day; by not attending the services or by coming to Church only half-heartedly, lazily and carelessly; by conversing during the services, by not paying attention, letting my mind wander and by departure from the Church before the dismissal and blessing. I have sinned by judging members of the clergy. I have sinned by not respecting the Feasts, breaking the Fasts, and by immoderation in food and drink. I have sinned by self-importance, disobedience, willfulness, self-righteousness, and the seeking of approval and praise. I have sinned by unbelief, lack of faith, doubts, despair, despondency, abusive thoughts, blasphemy and swearing. I have sinned by pride, a high opinion of my self, narcissism, vanity, conceit, envy, love of praise, love of honors, and by putting on airs. I have sinned: by judging, malicious gossip, anger, remembering of offenses done to me, hatred and returning evil for evil; by slander, reproaches, lies, slyness, deception and hypocrisy; by prejudices, arguments, stubbornness, and an unwillingness to give way to my neighbor; by gloating, spitefulness, taunting, insults and mocking; by gossip, by speaking too much and by empty speech. I have sinned by unnecessary and excessive laughter, by reviling and dwelling upon my previous sins, by arrogant behavior, insolence and lack of respect. I have sinned by not keeping my physical and spiritual passions in check, by my enjoyment of impure thoughts, licentiousness and unchastity in thoughts, words and deeds. I have sinned by lack of endurance towards my illnesses and sorrows, a devotion to the comforts of life and by being too attached to my parents, children, relatives and friends. I have sinned by hardening my heart, having a weak will and by not forcing myself to do good. I have sinned by miserliness, a love of money, the acquisition of unnecessary things and immoderate attachment to things. I have sinned by self-justification, a disregard for the admonitions of my conscience and failing to confess my sins through negligence or false pride. I have sinned many times by my Confession: belittling, justifying and keeping silent about sins. 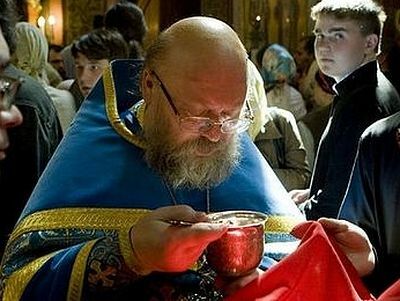 I have sinned against the Most-holy and Life-creating Mysteries of the Body and Blood of our Lord by coming to Holy Communion without humility or the fear of God. I have sinned in deed, word and thought, knowingly and unknowingly, willingly and unwillingly, thoughtfully and thoughtlessly, and it is impossible to enumerate all of my sins because of their multitude. But I truly repent of these and all others not mentioned by me because of my forgetfulness and I ask that they be forgiven through the abundance of the Mercy of God. 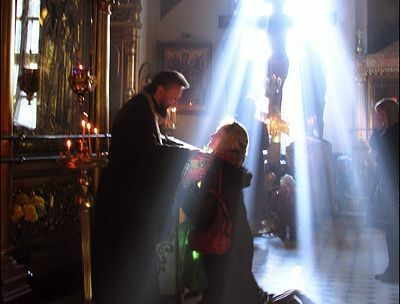 Maybe in addition to these useful articles about confession for laity - the Komrades at Pravoslavie could publish a few articles instructing priests how to hear and deal with confessions properly - i.e. not making penitents feel worse after they have left confession than they felt before they confessed. Maybe then people would be less hesitant to go to confession. I speak from personal experience.